Welcome to the new Ravenswork Website. It’s been in the works for a long time so it’s wonderful to see it come to life. Logistically, much has changed since I closed the Electric Avenue location but sound design and mix is still the heart of the business and I continue to work primarily on commercials and short films. However I’ve also had the pleasure of revisiting my roots with some exciting music projects, so in many ways, my business is back to what it was in its inception. 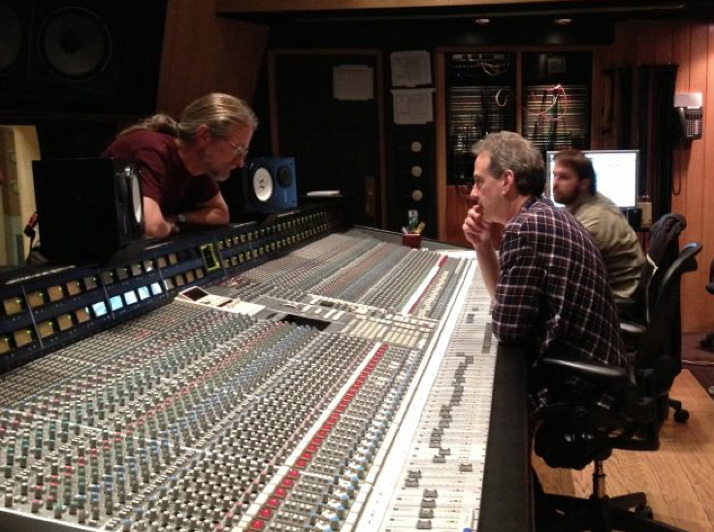 By utilizing cloud technology in commercial audio post-production, mixing remotely is becoming the new standard. It’s time efficient and cost effective. Instead of clients spending hours or days attending a mix session, we mix/sound design following client notes and then post “work in progress” for input and approval. We’ve been doing this for some time, but now it’s often the preferred time saving approach. For those who would like to attend the session and approve the mix in person, they are more then welcome to attend. In addition to working out of my private studio in Venice CA, I also guest-mix at other studios. One of those places that has become a second home to me, is Lost Planet Editorial in Santa Monica CA. For the current Liberty Mutual campaign, It’s Only Human, I sound designed and premixed the project there. Then I took the files to NY and worked out of Sound Lounge with the creative team and producer to record actor Paul Giamatti for the voice over and to finalize the sound design and mix. Some of my other recent projects include; sound design for NHL, agency Mono; mixing of several spots for Viper, agency The Richards Group and sound design and mix for Cisco, agency Goodby Silverstein & Partners. Years ago I worked off and on at the famed A&M Studios on LaBrea, so it was a nostalgic walk down the halls of the old place in Hollywood where I recently recorded five songs for the Indonesian fusion guitar player, Dewa Budjana, at the now, Henson Studios. Henson has done a great job of keeping the studios intact with their vintage charm. The place still looks and feels the same with the hallways lined with analogue tape machines and walls with photos of some of the greatest musicians and moments of recorded time. Along with Dewa, Jimmy Johnson was on bass and Vinnie Colaiuta on drums, all in great form.